PurAcell Sprayfoam Insulation is a perfect insulation solution for timber frame structures and is installed between timber wall studs and/or rafters in a structure. With a perfect custom fill everytime and shaving flush to allow for ease of slabbing every project is completed to the highest of standards providing a completely insulated and airtight structure. 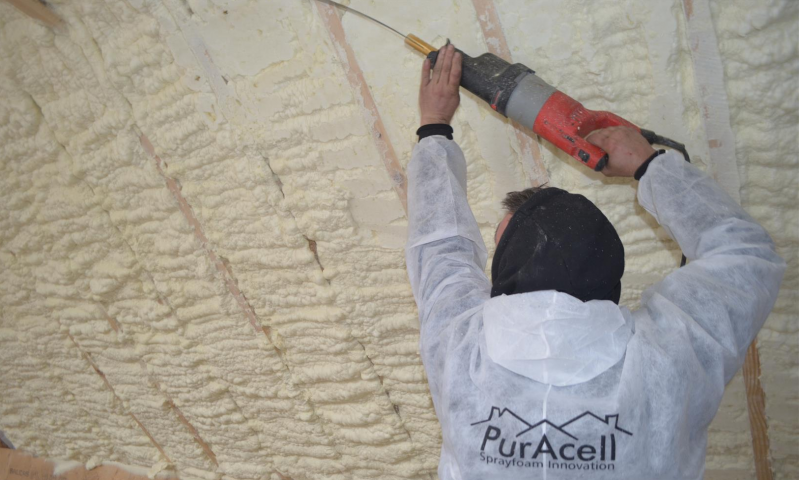 The advantage of the Puracell sprayfoam insulation is that it can be filled right up to the face of the timber frame, ensuring the that there is no thermal looping and the achievement of the best possible u-values. 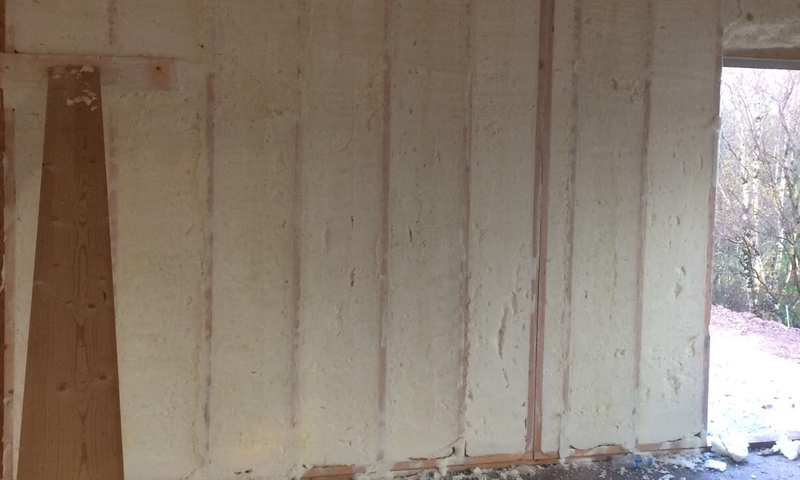 Here at PurAcell we supply sprayfoam solutions that provide the best insulation for your timber-frame residential or commercial building. 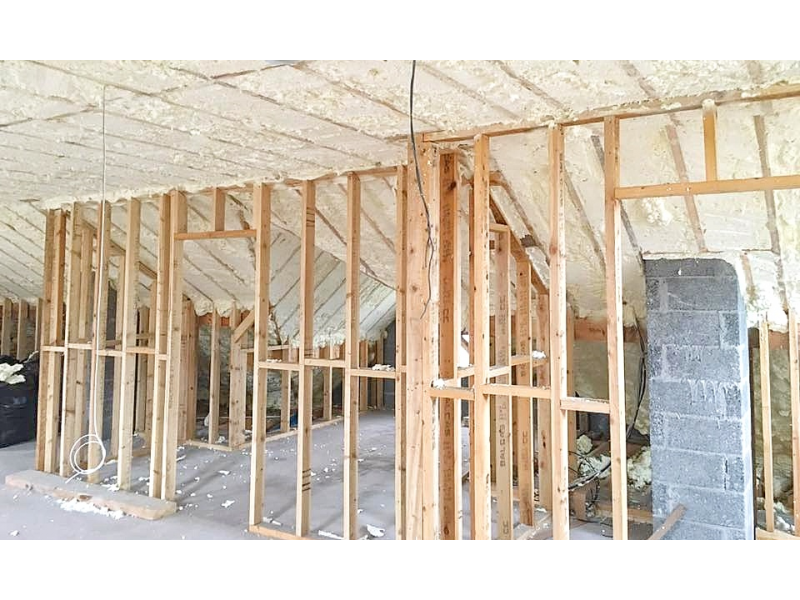 PurAcell sprayfoam insulation applied between rafters and / or timber framed studs, PurAcell Sprayfoam Insulation will keep your house warm through the cold winters and cool through the warm summers. 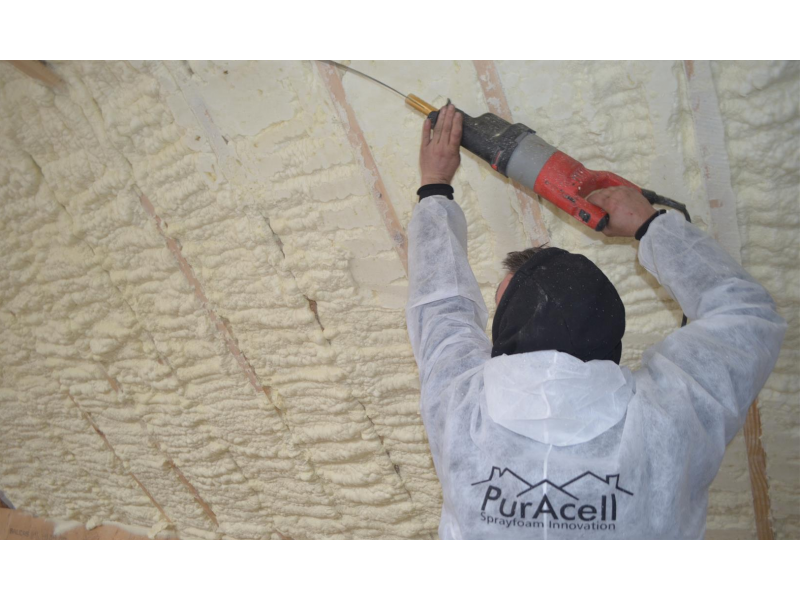 Our PurAcell Spray Insulation is the best timber frame insulation option that will stand the test of time, will not rot, sag or decay. 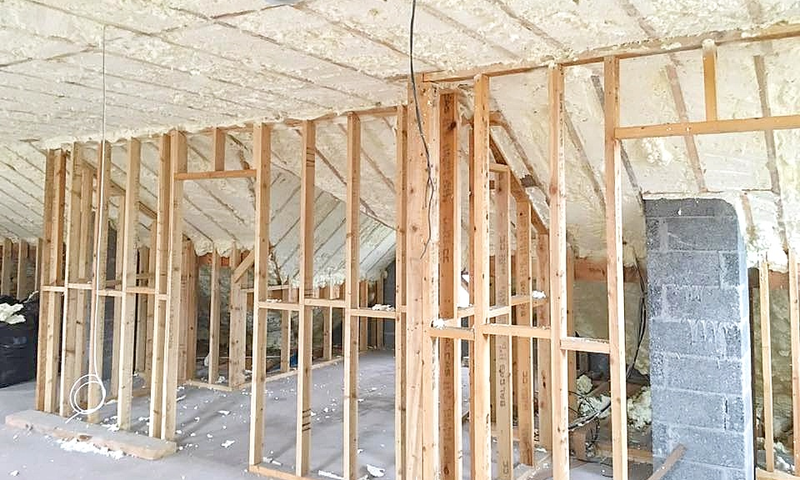 You can be sure when your Timber frame roof, attic or walls are insulated using PurAcell spray foam insulation, you have met the highest standards and future proofed your home against any need to install upgrades. 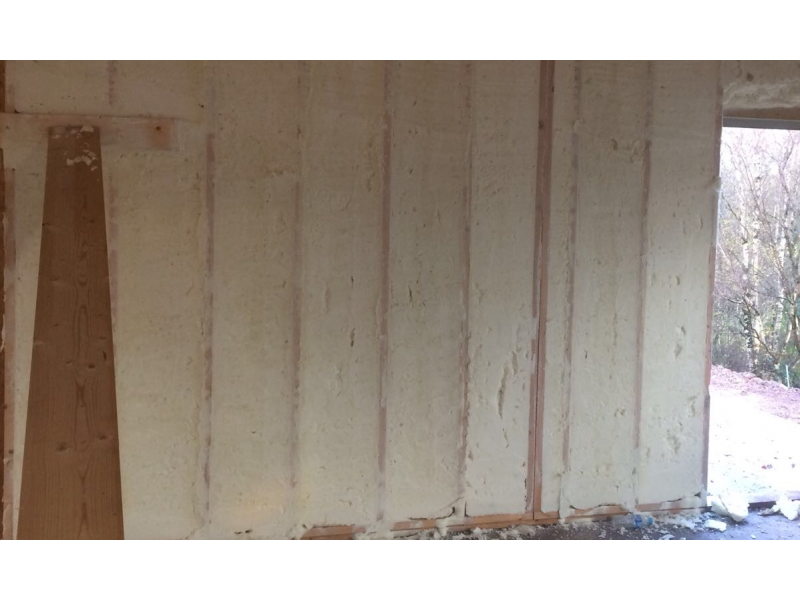 PurAcell Timber Frame Insulation Ireland - the air tight solution for your new build.